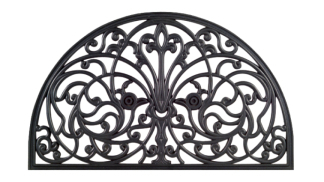 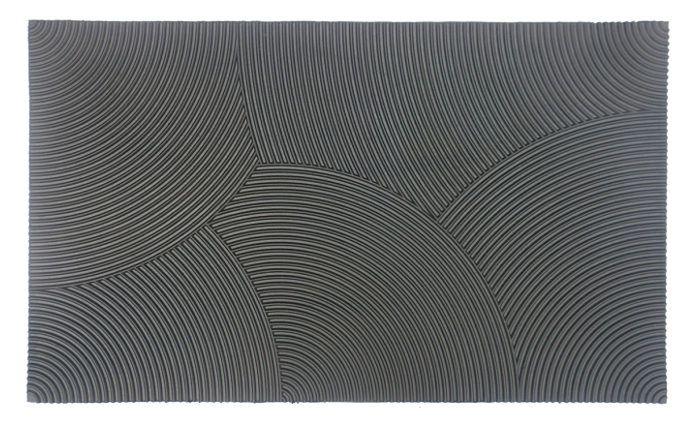 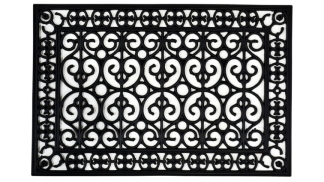 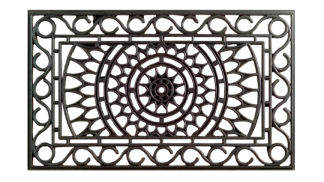 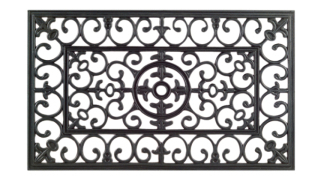 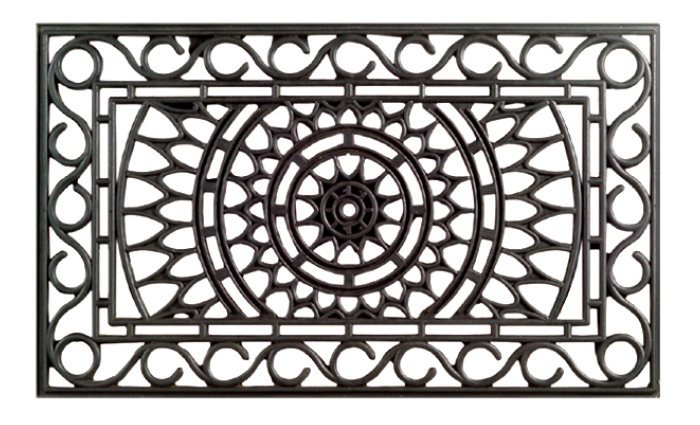 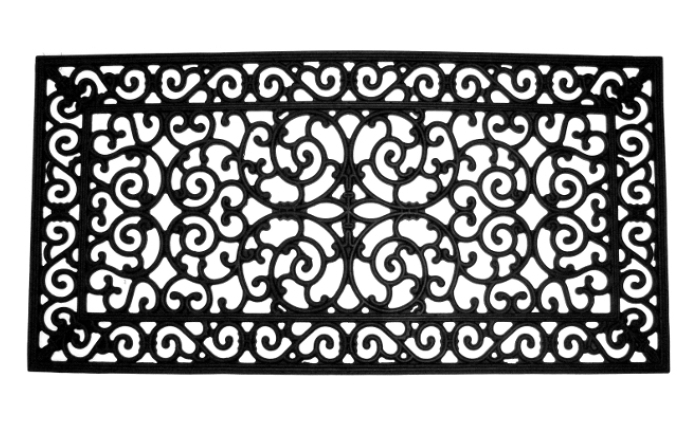 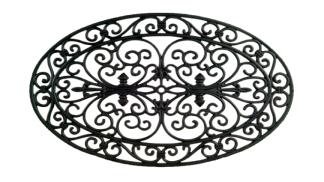 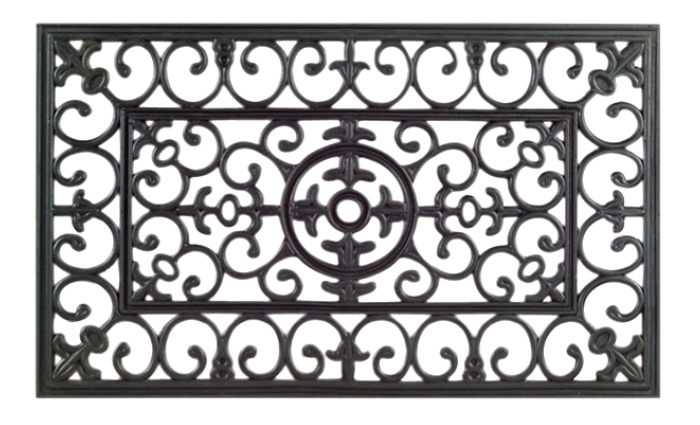 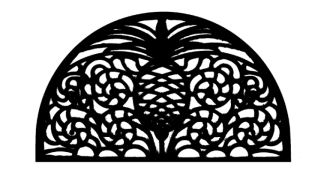 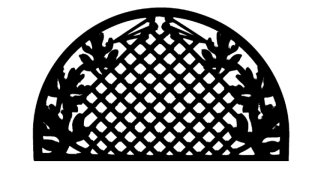 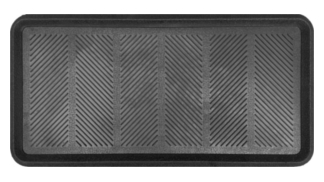 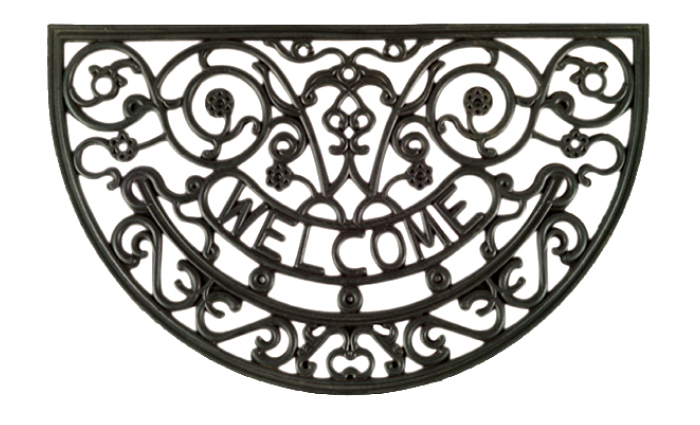 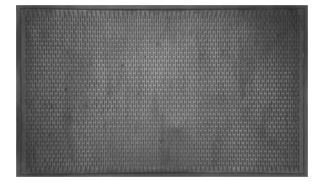 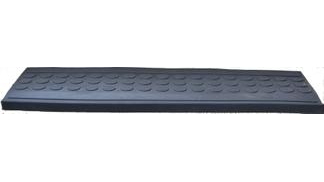 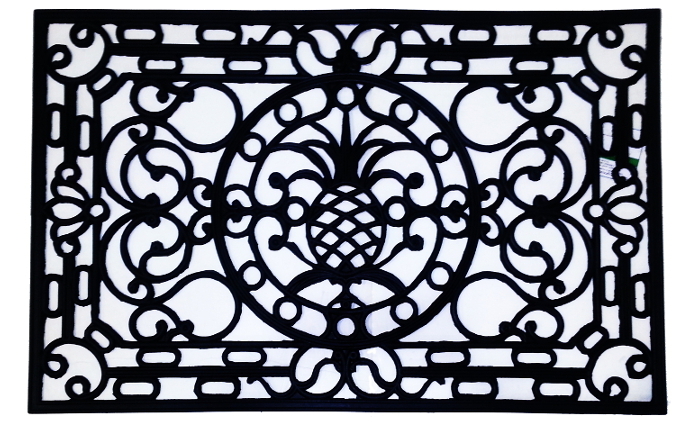 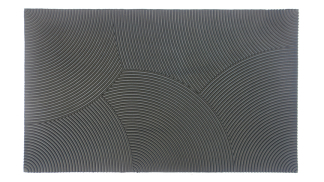 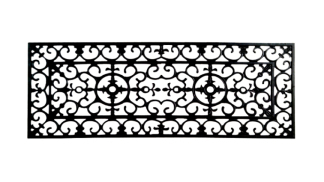 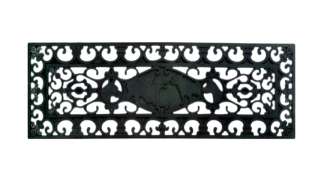 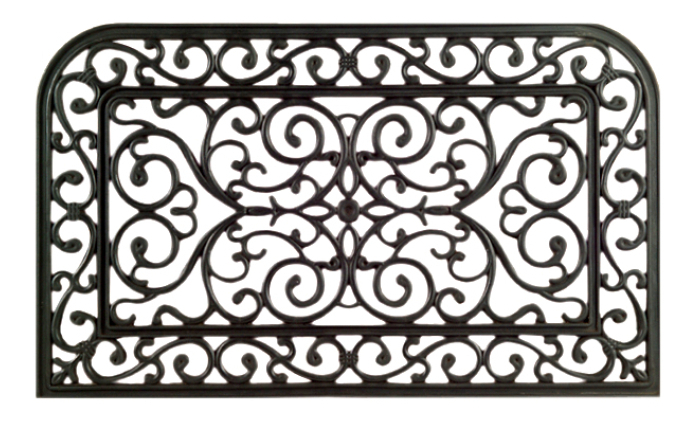 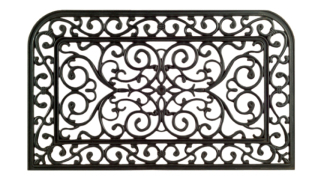 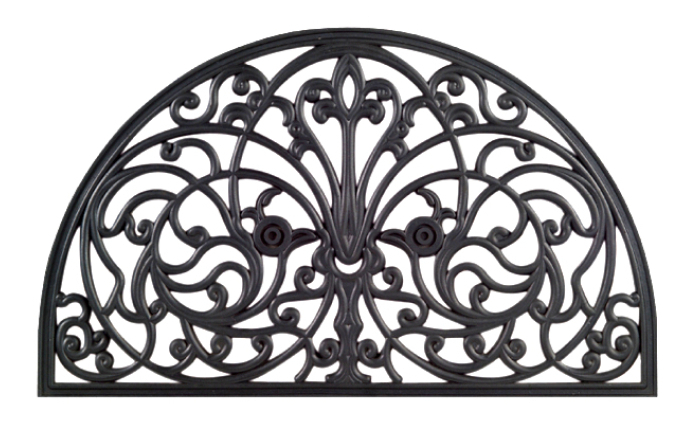 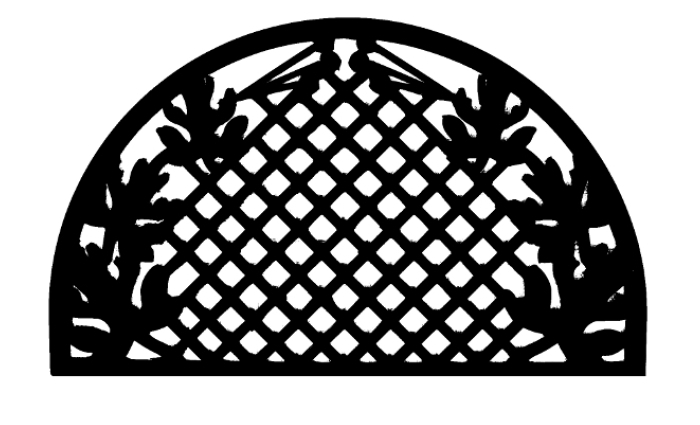 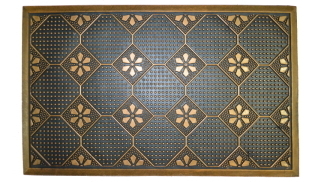 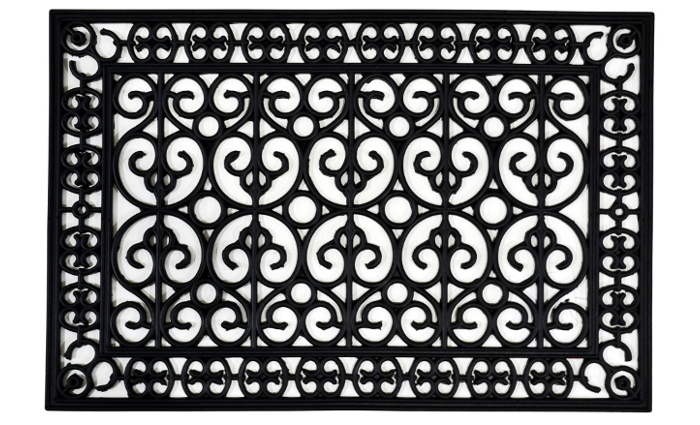 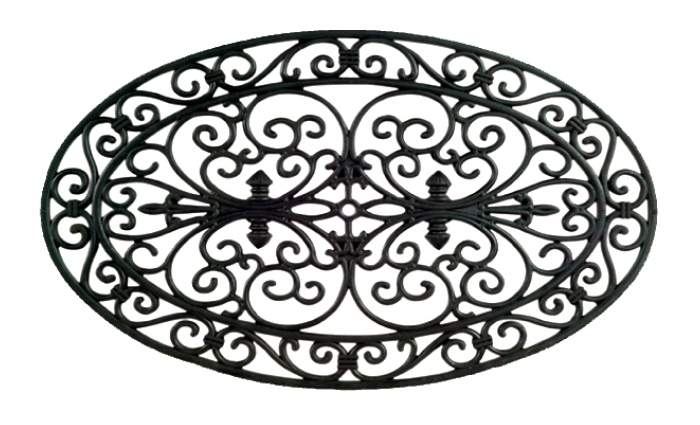 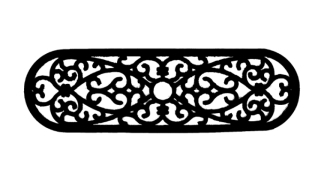 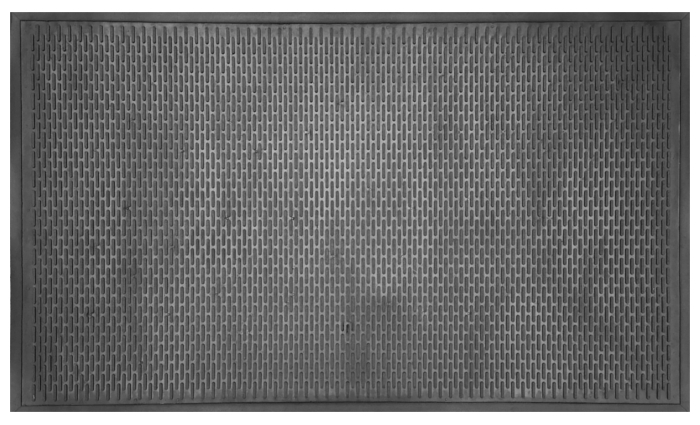 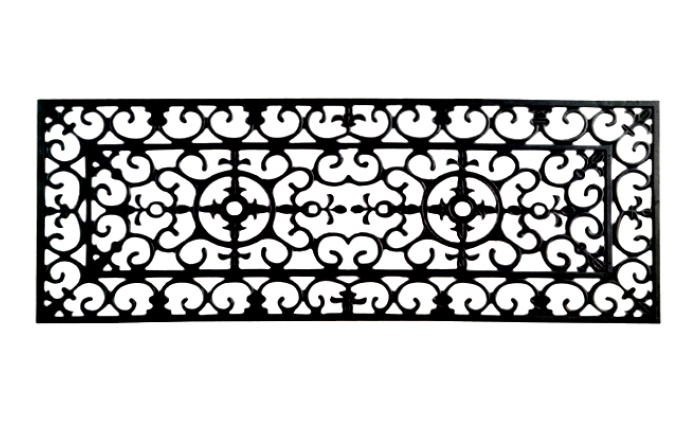 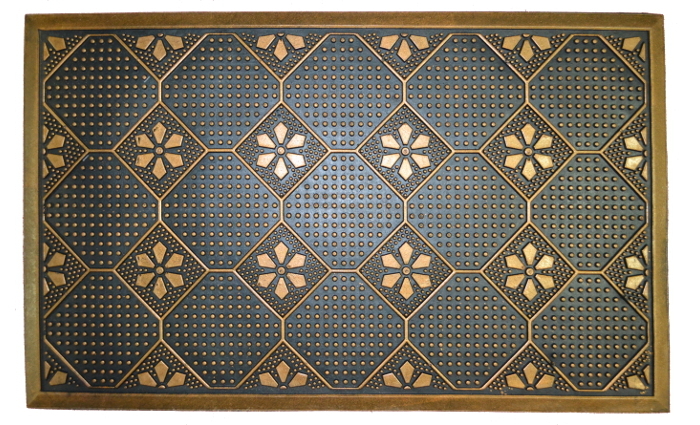 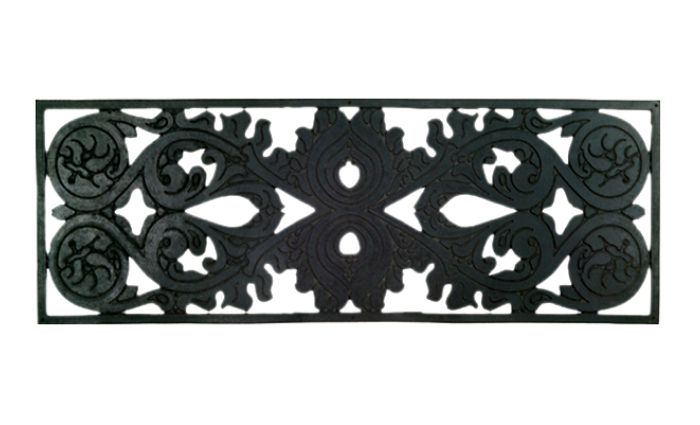 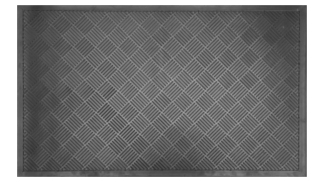 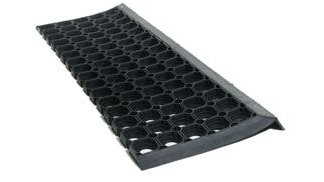 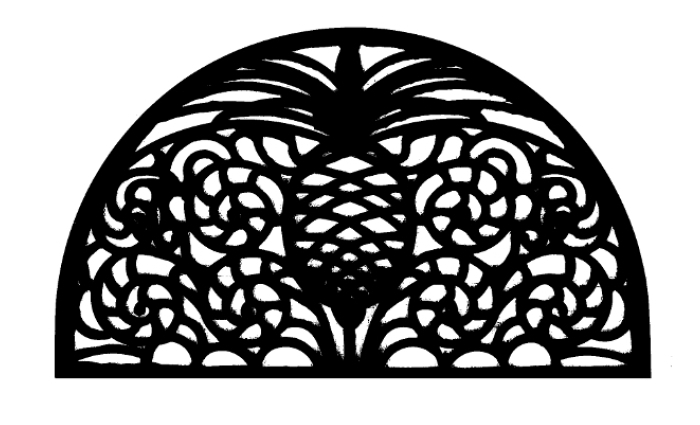 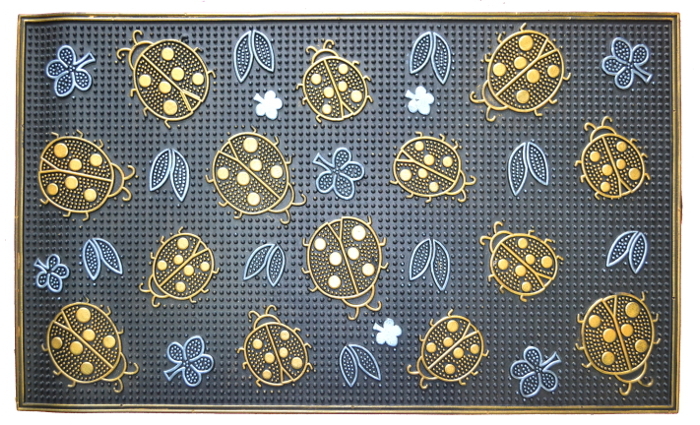 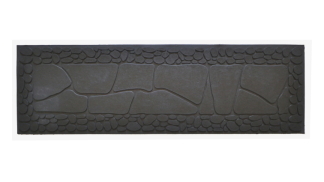 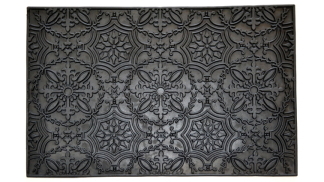 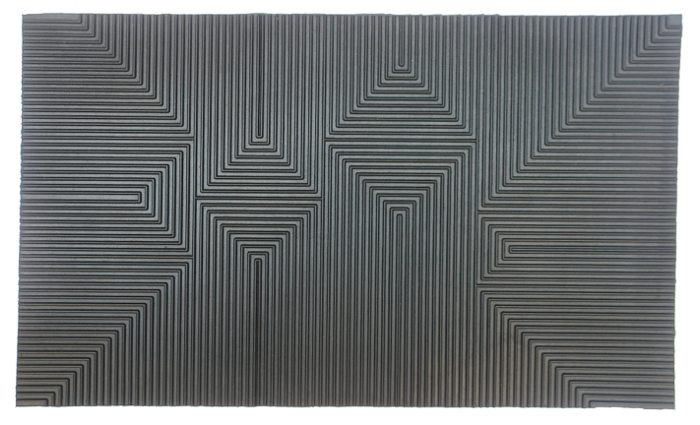 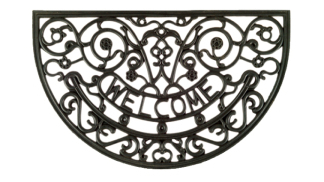 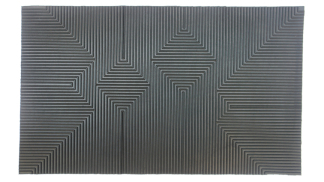 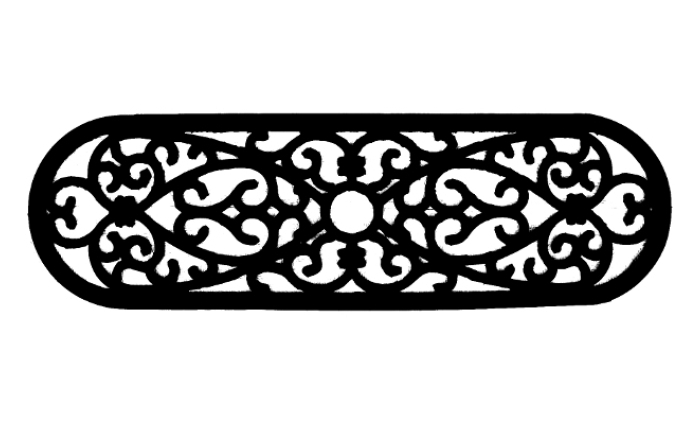 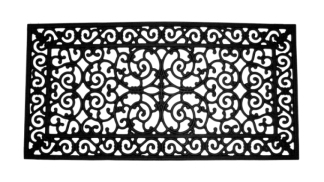 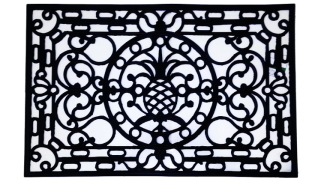 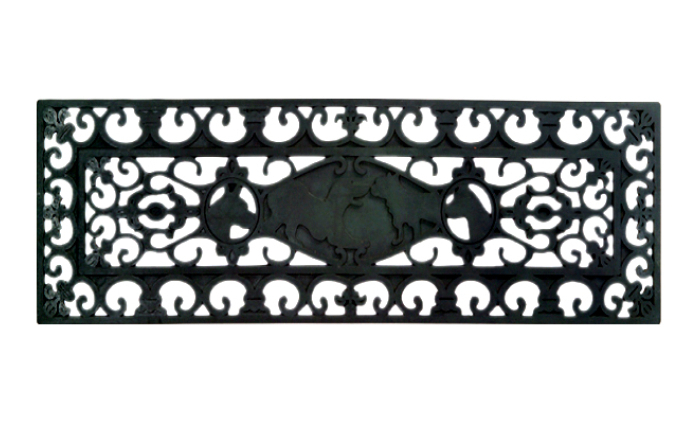 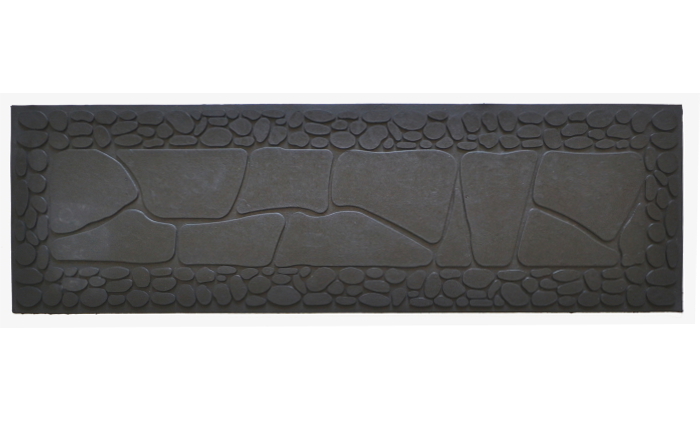 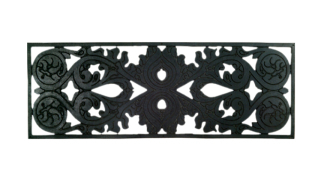 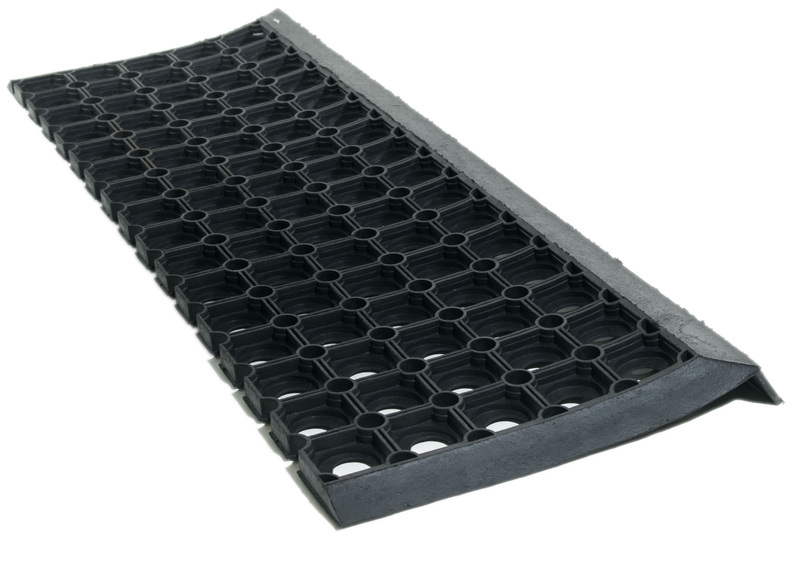 Wrought Iron Rubber Mats are manufactured by molding vulcanized natural rubber in different attractive patterns. 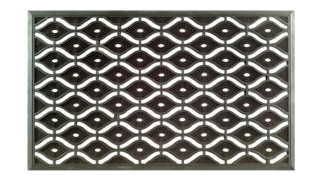 Designed surface prevents dust. 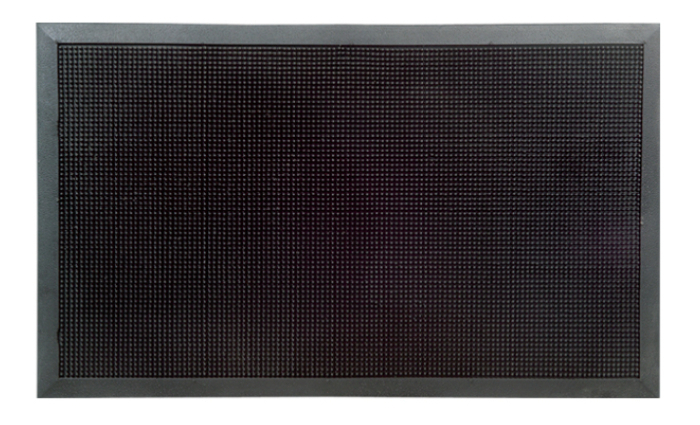 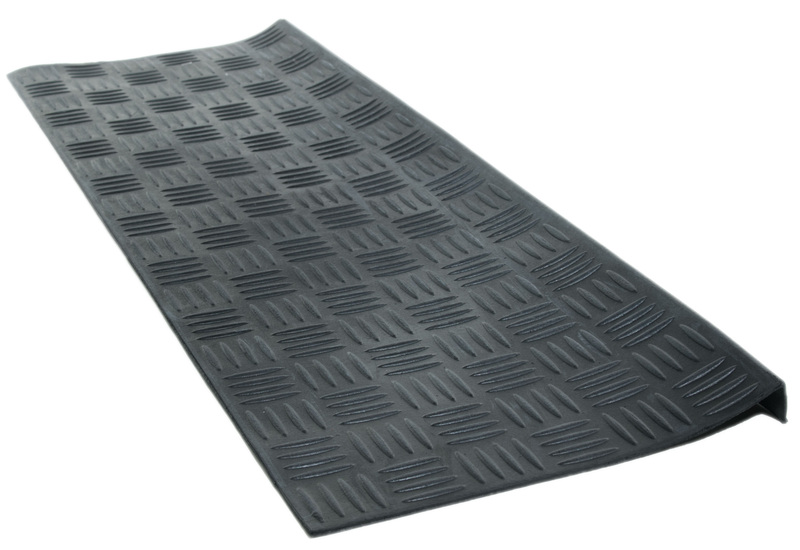 The Mat retain its neatness and fresh look for a long time. 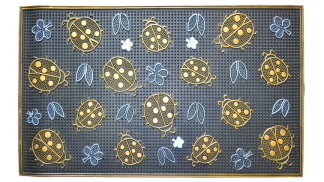 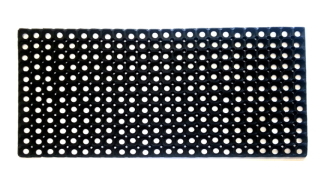 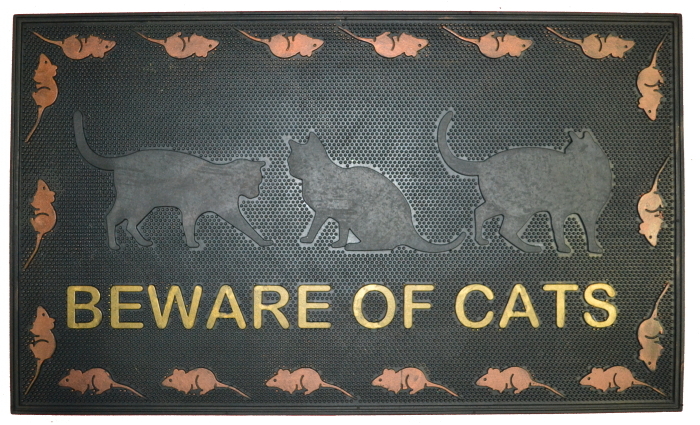 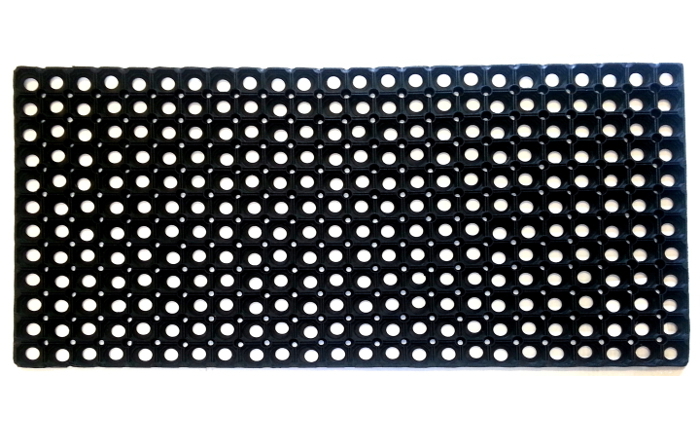 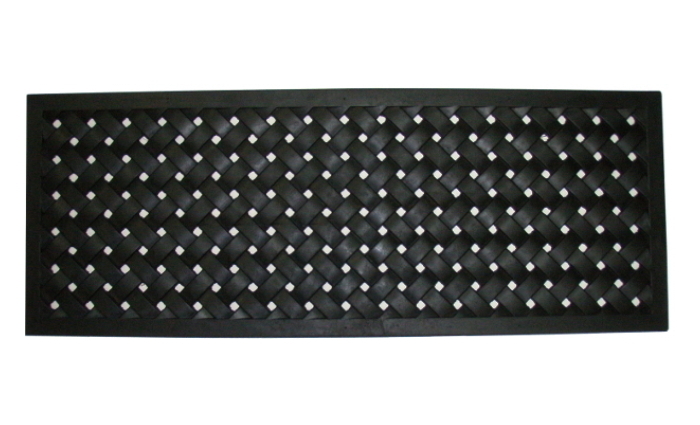 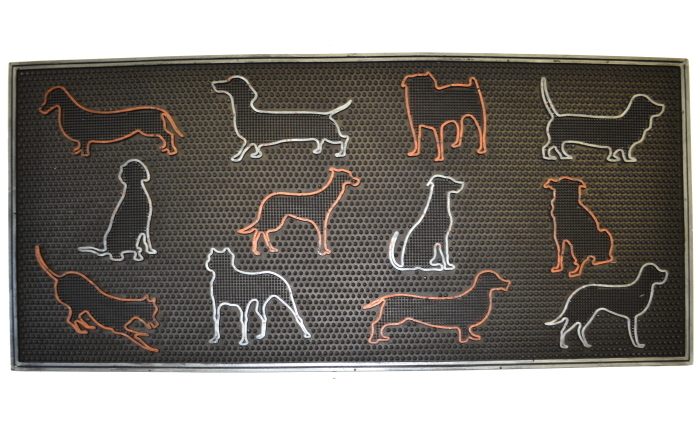 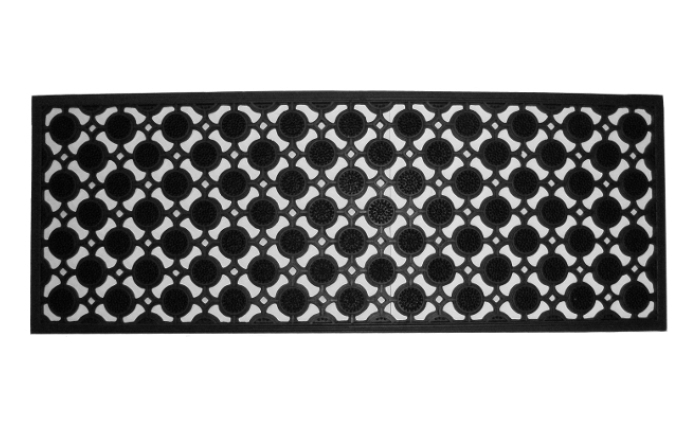 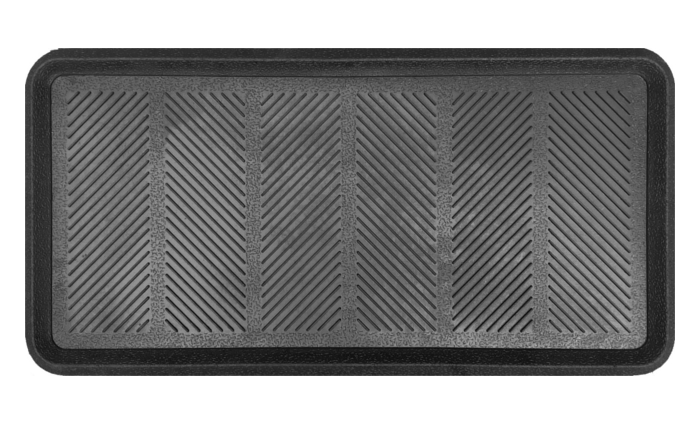 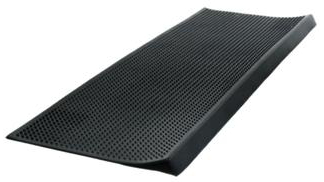 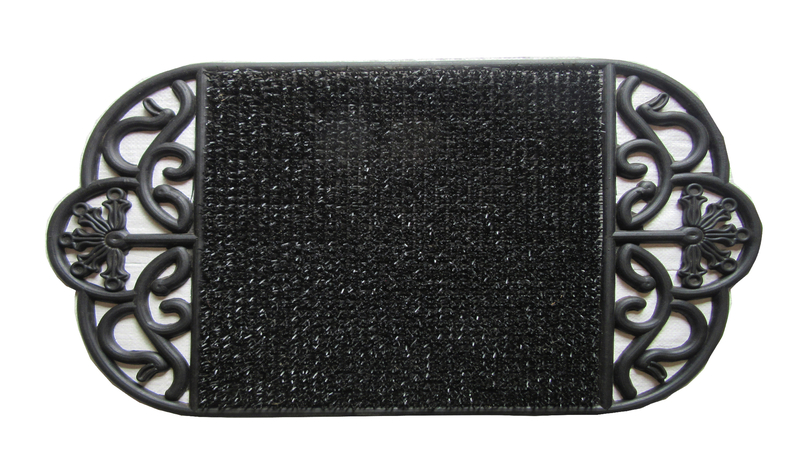 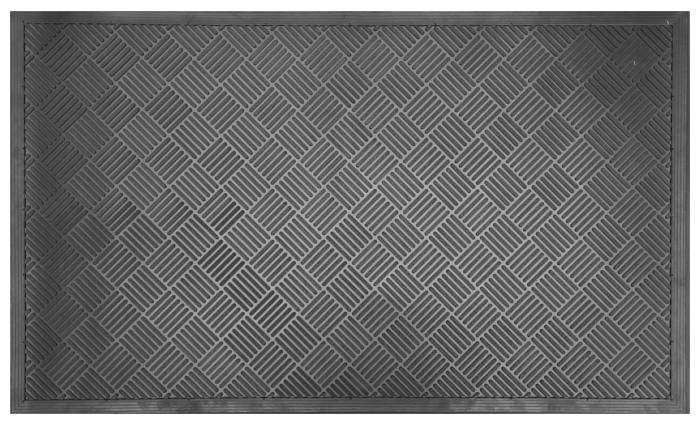 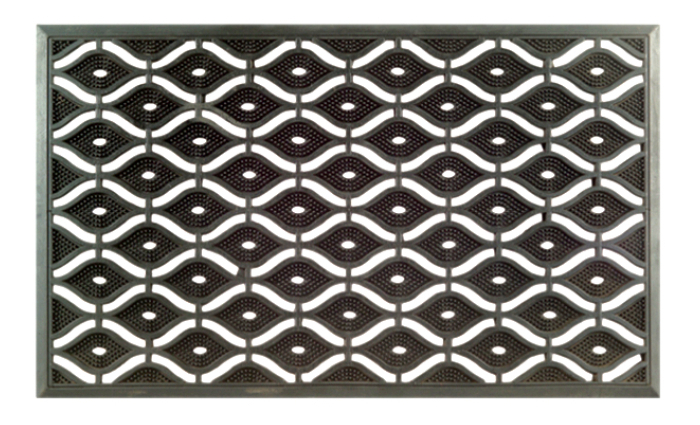 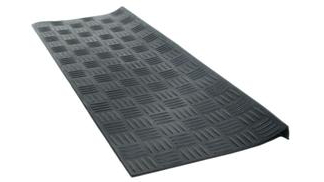 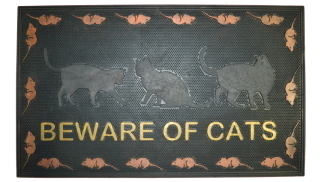 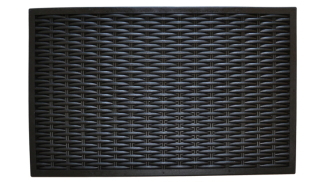 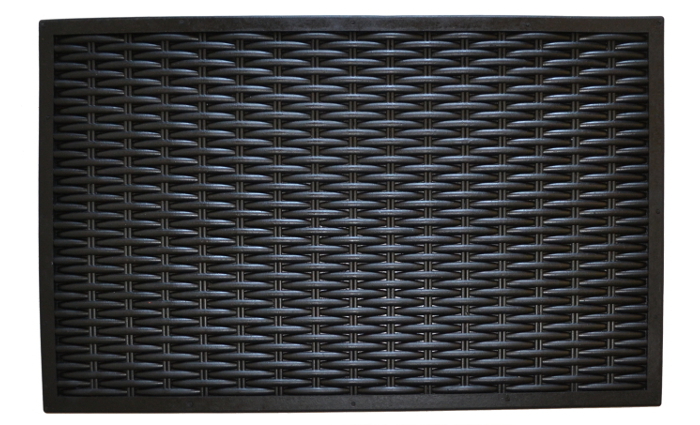 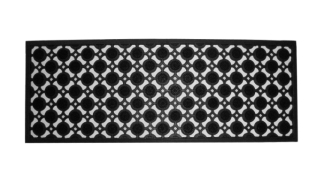 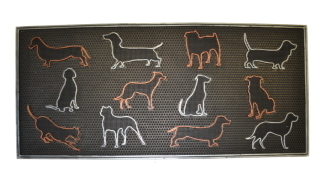 The stylish & elegant doormat is anti-skid and durable. 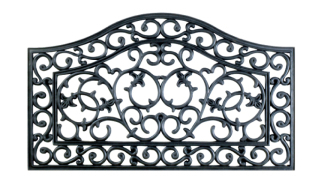 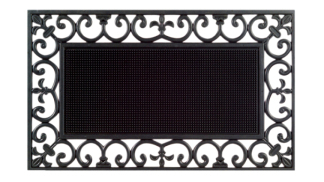 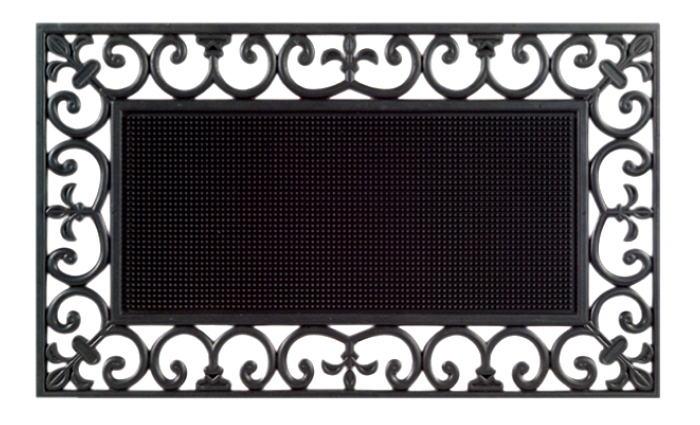 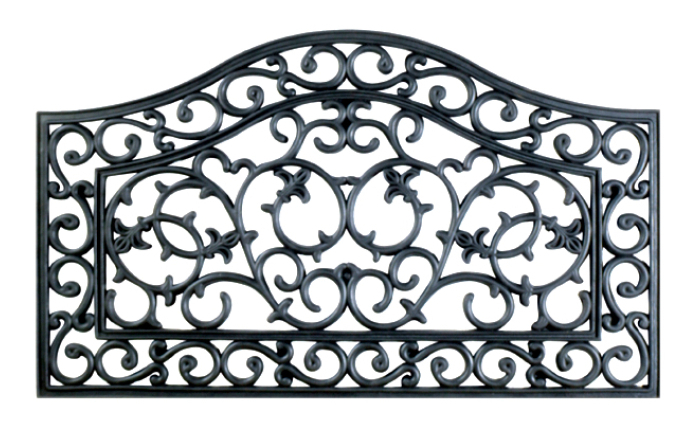 It is a perfect choice for entry way, pool or wet area. 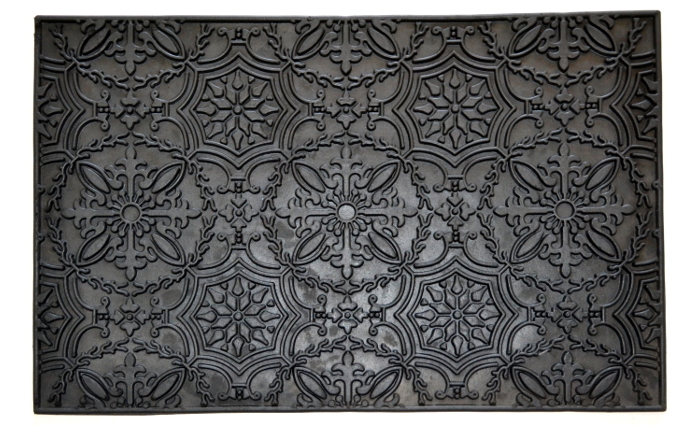 Available in 18x30", 24x36", and 18x47" Sizes.